So here I am, wondering what to do with NO budget. I bought Music K-8 with my own $$ (which I've been doing for years). With issue 2 alone, I have practically everything I need: After-school choir will LOVE "The Holly and the Ivy," "Hear Those Bells," and "We Will Jingle" (LOL)! I needed something for all the kids to sing for Grandparents' Day (the day before Thanksgiving Break, and a VERY big deal at our school): Whoo-HOO! -- "Come Ye Thankful People Come" and "I Count My Blessings." We're supposed to do an international emphasis this year, especially including other languages ... Wheee! : "Celebramos" and even the Hawaiian one will work nicely. Your music enhances our studies in so many ways. Many thanks to Music K-8 and all the great things you have provided for the past 22 years. I love this magazine. I wanted to comment on how I enjoy the choreography instruction videos that you have available now. So many of the songs in the magazine beg for movement; and for those of us not gifted in creating choreography, this is wonderful! This feature alone guarantees that I will continue my subscription. I used Music K-8 when I taught elementary music in the early 1990's. When I returned to elementary music two years ago, I had to get back to this wonderful resource. My students LOVE the music, and my choirs are always the hit at any concert! LOVE YOU ALL AND YOUR FABULOUS MUSIC! I have referred many friends to your site and I always will! For the 17 years I have been teaching, your resource has remained a favorite. [...] From my experience, yours is the best resource! Thanks for keeping it simple, diverse, and kid and teacher friendly all these years. You all are truly a blessing, and I have been blessed to share your music with hundreds of kids! Thank you so much for all the thoughtful effort you have put into your magazine. It is one of my first resources for a song to fit a specific occasion. I have been a loyal subscriber since 1990, and my whole teaching career has had a generous sprinkling of musical gems from Music K-8. The magazine has been a godsend and has made my life easier. Kudos to Paul and Teresa and all of the wonderful staff. 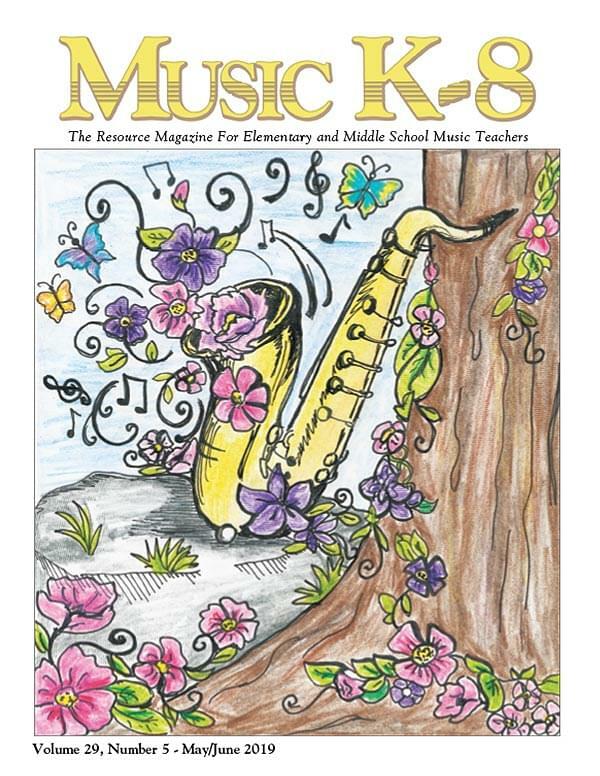 I am a music teacher and have been receiving Music K-8 magazine here at school for the past 15+ years. I LOVE the songs and the quality of the products! Teresa and the other composers are so totally tuned into what kids like! My students love singing their songs! Thanks so very much for all you do for all of us music educators. We are blessed to have Music K-8 and Plank Road Publishing to depend on for resources. KEEP UP THE GOOD WORK! I honestly do not know how I would have gotten through my first year teaching without this web site! Thank you, thank you, thank you! [...]Plank Road is very generous in their time and help! I don't even think they realize the huge impact they have on our music education system across the nation. I've been a [Mailing List] member since 1999. This list and my Music K-8 magazines are [my] most valuable resources. Wow! I am already a major fan of Plank Road’s Music K-8 and have been a subscriber for more than 10 years. I am continually amazed with the level of creativity and incredibly current music included in every issue. After all these years, Music K-8 keeps bringing it. LOVE Teresa Jennings’ music! My kids LOVE her songs, and that's half the battle! I love the songs and the music, and my kids love it as well. It's easy to get them involved with this music. It's the only program I use at this time! You Plank Road folks are one of the most wonderful things that have ever happened to elementary music instruction! Thanks for always having the highest quality musicians and sound mixing. I am in a low income school district (over 50% of our students are on free or reduced lunch). Your resources, along with the state-issued music curriculum that is five years old, is all I use. Your music is current and fun, and the students love it! You have provided a great resource for me in a district with little money for the arts. Thanks! If I were moving to some impoverished district anywhere in the U.S. (and maybe in the world) and had NO money to spend, I would subscribe to your magazine as my text. I would use it to teach the written part of music - you do an excellent job writing songs that children can actually read rhythmically - like notes, clefs, repeat signs, etc. The FABULOUS, stylistically correct accompaniments are another reason why I would chose your magazine. Also, you do an excellent job of addressing subjects all across the curriculum - holidays, historical events, etc.- with wit, humor and songs pitched appropriately for kids.